We’re back to tell you what’s being done in the Raft headquarters! The last two weeks since you’ve heard from us we started with a couple of days of design talk. We decided to take a chunk of time to further define some of our features. It would be too much to tell you about all of this in one blog post so we’ll just talk about the stuff that is currently being implemented! In the last blog post we introduced the reefs! As this is quite a big feature that involves a lot of stuff, it’s something that is still being worked on. 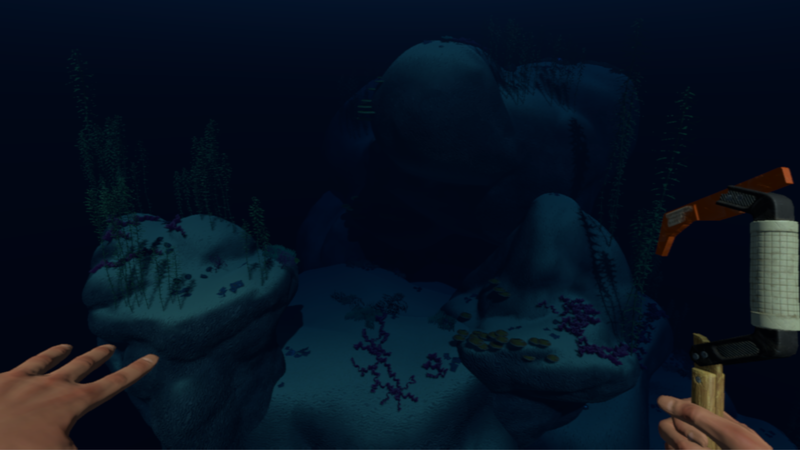 Our programmer made a cool script to help the artists quickly decorate the reefs with various assets! In order to test the reefs we’ve built one which you can see below. As mentioned in an earlier blog, the reefs will be a place to find materials to craft with. Scrap, which has previously been floating on the water, will now be found here instead. You will also be able to harvest vines, pick up rocks, dig sand and dirt. When you get further down you’ll also be able to find Iron, which will be used to craft more advanced stuff. The shark’s AI has now been updated to work underwater as well, so when you’re down scavenging the reefs you’ll have to keep an eye out or it’ll get you. You can however, fend of the shark in case it sees you and is hungry for flesh. This is done by a well-timed attack with your weapon of choice. While down underwater, you’ll also have to worry about your oxygen, since breathing underwater is quite difficult. Items to increase the time you can spend underwater will be introduced later on. In the prototype, the hunger and thirst system was pretty basic. Since the main issue when surviving on the sea is in fact hunger and thirst, we want to make a system that puts more emphasis into these elements. In the prototype, you could survive just fine on raw fish or potato. With the new system raw food will be able to keep you alive, but it won’t be able to leave you with a full stomach. In order to achieve this, you’ll have to eat cooked food, or even combinations of different sources of food. In order to feel well and have enough energy to fend of sharks and other dangers, you have to both eat and drink well. This is why we’ve implemented the Well Being System (working title). If you get too hungry and thirsty, you’ll start feeling and performing worse. The same goes if you’ve got a full stomach but you haven’t been drinking well, and vice versa. So remember folks, take care of yourselves on the ocean! 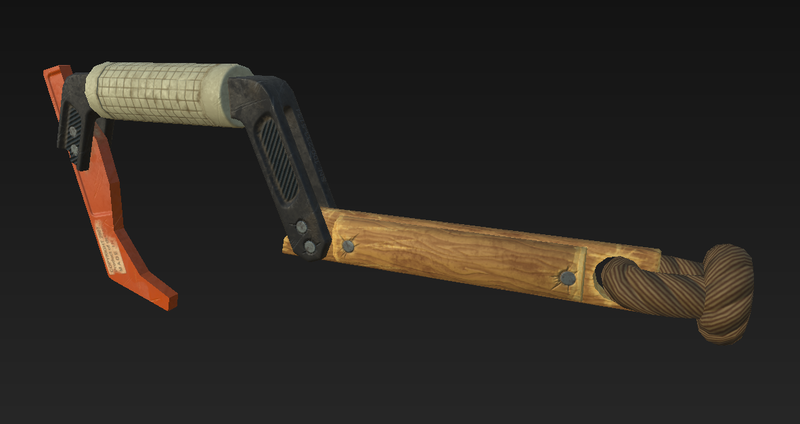 As the hook is the main way of gathering resources, we felt it needed an update in graphics and functionality. There are now two tiers of hooks, the plastic hook and the scrap hook. Lets start with the plastic hook. This will be the hook you start with on your raft adventure. It works just as the hook has always worked, so if you’ve played Raft before, you’ll feel right at home. Maybe you’re thinking; “Hey, plastic isn’t a resource in Raft?”. Well, now it is! Plastic is a new resource that will come floating on the water and is used for much of your starting equipment. Below you can see the plastic hook in all it’s glory! 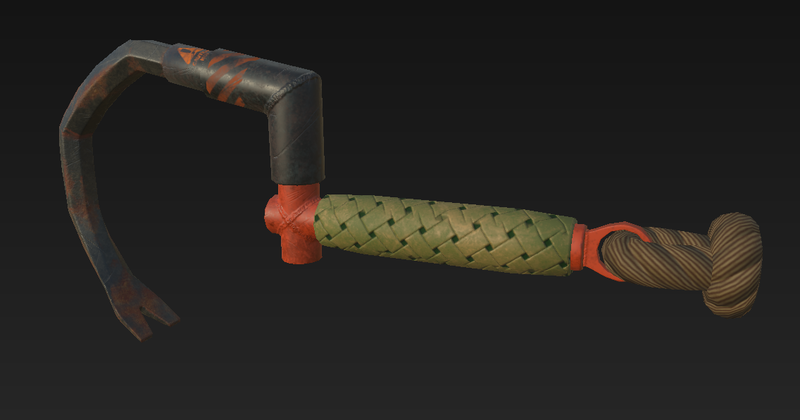 So, now for the Scrap hook. It is a lot sturdier since it’s made of metal. It’s heavier and therefore more resistant to air pressure, which makes it fly longer! It’s crowbar-like features also makes it useful when bending iron from reef rocks. Down below you’ll see the mighty scrap hook! This was all for this blog! Hope you enjoyed it, and have a good weekend! Oh right, almost forgot, the new character is in the works, so keep your eyes open!